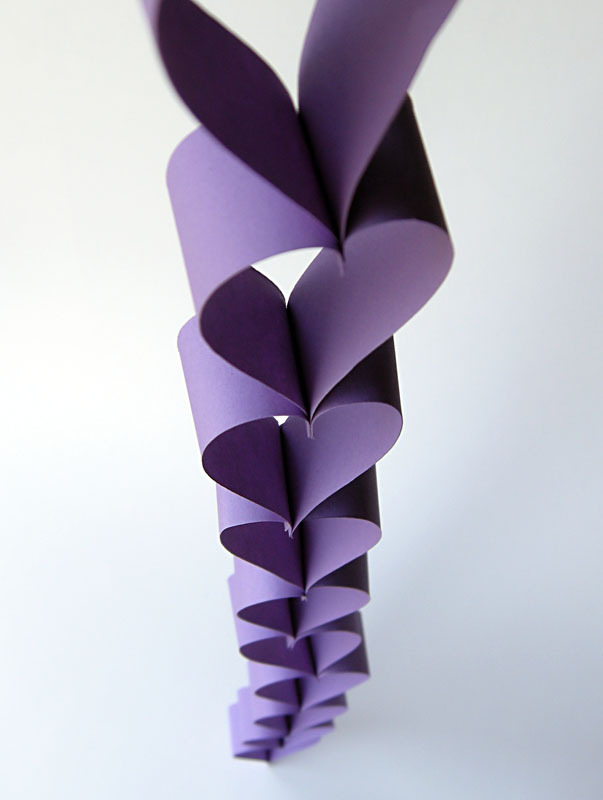 If you’re looking for an easy-peasy Valentine paper heart chain that you can make with your kids, look no further! All you need is some colored paper strips and a stapler. My 9 yr old had a blast making these. Just be sure your stapler is kid friendly. Click on over to Craftzine for the full tutorial, plus how-to’s for 2 extra variations made out of felt! 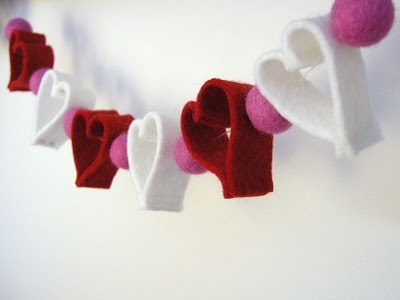 This felt garland uses felt balls and hearts strung on a clear cord. 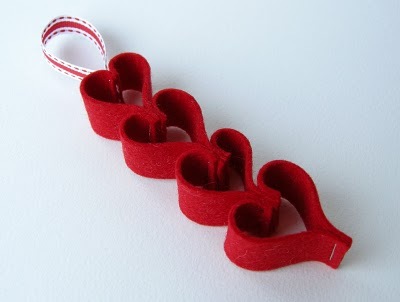 Check out the details at Craftzine for a trick to easily make 10 hearts at once. You’ll need a sewing machine for this version. Seriously, these are so fun and addicting to make! Wonderful hearts … very good, as usual!! These are so cute! I am making some with my son tomorrow. He will love it! Thanks for posting this! wow this is a great project, i am going to make it by myself, thanks for the tutoral! This is such a lovely garland! You clever lady, love how you made all the felt hearts at once! wow! I just went to look at the how to on the other site. What a great way to make more than one! Awesome. Can’t wait to make my own garland. This is sew wonderful and simple! Another great idea from Betz! I still have my coffee cup pincushion I made a few years ago and treasure it always. Thank you for sharing your talents! 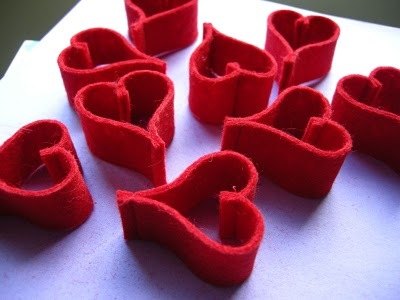 I am totally crushing on the felt hearts. So cute. Thank you so much for this cute tutorial!!! I’ll try this out with my sons (4 & 8) and I’m quite sure they’ll love it! Have a wonderful weekend (with not so much rain and ice and snow as we have it here)! wow. i am new at blogging, and the hearts are just awesome. my girls 4 and 6 love making paper chains, this will be so delightful to watch them make these…thanku for the post. very gorgeous…cheers tam. I love both garlands! And I love how you sew multiple hearts at once and then cut them apart. Very clever! This is the greatest project, thank!!! Looove the paper heart chain. Thanks for posting this! I used scrapbook paper and could not be more pleased with how they turned out. 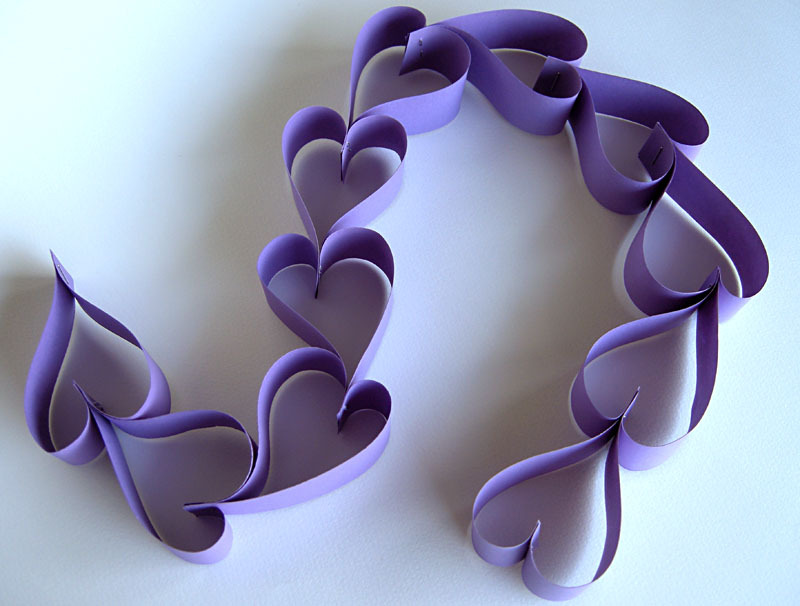 Hi there, I love the heart chains, both paper and felted. Just sent a link to your blog to a group of my friends with kids! Thank you for this tutorial. Very inspiring idea for a project to do with children! Sou do Brazil, encontrei teu site visitando blogs, amo muito isso, Quero te dizer que teu trabalho é perfeito e muito lindo.